As China’s logistics industry experiences explosive growth, green packaging may become the next hotspot for Chinese startups. China is home to the world’s largest logistics market, shipping as many as 30 billion parcels in 2016. However, the thriving of the delivery industry has been accompanied by large amounts of waste and massive pollution. In 2015, the country consumed a total of 9.922 billion shipping boxes and 16.985 billion meters of tape. 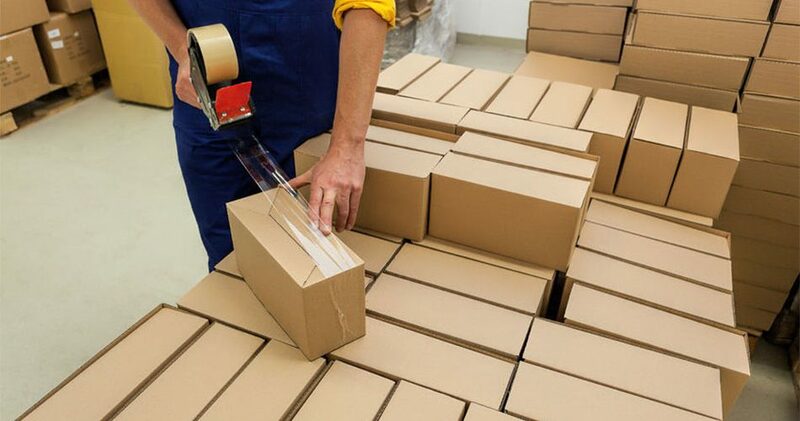 Eyeing the rising demand for green packaging, Chinese startup Huidu Huanbao (Grey Environmental 灰度环保) is developing and manufacturing eco-friendly packaging materials in hopes of reducing the waste produced by the logistics sector. The company recently closed a 10 million yuan angel funding round, participated by PreIPO, Shangwan Investment and Chongqing Environmental Fund. Kr-Asia has learned that the money raised will be mainly used to purchase raw materials and build production plants in eastern China. Founded this August, Huidu Huanbao is a green tech firm that develops, manufactures and sells recyclable packaging materials. 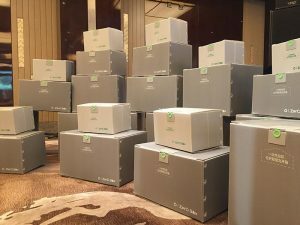 Its main product ZerOBox, a green, recyclable packaging box, has already nabbed dozens of patents. According to the founder Chai Aina, ZerOBox is made of the lightest plastic material, featuring high purity, non-toxicity and high crack resistance. Moreover, the box is 100% recyclable and can usually be used for more than 14 times. When no longer usable, the box can be recycled. The product is designed in a unique structure that requires no tape or glue for sealing. In terms of cost, ZerOBox saves at least 30% cost compared with traditional shipping boxes on a cost-per-use basis, so the company doesn’t worry about customer acquisition at all. In fact, it’s learned that Huidu Huanbao had already inked deals worth 400 million yuan in total for 2018 even before the financing. It’s a demonstration of how strong the market demand is. Huidu Huanbao currently operates three production plants. While stepping up efforts to set up more in Jiangsu, Zhejiang and Shanghai, the company also plans to build industry bases in collaboration with its agencies, with the aim of putting in place an extensive green packaging recycling system. At this stage, revenue is generated mainly from the sales of its patented products. In the future, the company will make money from additional services like logistics and advertising. Based in Shanghai, Huidu Huanbao currently operates a team of 12 with rich experience in marketing management, logistics, product R&D, supply chain management, commerce and public relations. As Chai sees it, green packaging has the potential to grow into a 1 trillion yuan worth of market. So far, despite much research in the area, few products have been successfully commercialized. Huidu Huanbao is now poised for market expansion. By moving ahead of others, it expects to create barriers to late entrants. In the meantime, it will keep improving its products to enhance its competitive advantage in cost and product portfolio. As e-commerce takes off in Southeast Asia, the local logistics market is set to see rapid growth too, but Southeast Asian logistics companies will not be the only contenders in this market, as Chinese firms, eyeing the great room for growth there, are already expanding into the local market. First movers include the logistics giant SF Express, which set up a Singapore office in 2010, as well as Alibaba, which invested in Quantium Solutions International, a SingPost subsidiary, for a 34% stake in the company in 2016. To address the massive waste and pollution brought by the extensive use of traditional packaging materials, startups in Southeast Asia may draw from Huidu Huanbao’s model to tap into the rapid growth of the local logistics market.